I Ought to be Thy Adam! I am one of those people that get annoyed with the whole Frankenstein/Frankenstein's monster thing, I know, it's terrible but for arguments sake, Frankenstein is the creator and his creation's name was never revealed in Mary Shelly's original novel, however, he does at one point, turn to his creator and say 'I ought to be thy Adam' in reference to the first man in the Bible. Since the publication of the original novel, Dr. Frankenstein's creation has been known by many names, most commonly Frankenstein or The Monster and has had many different personalities to that of the original articulate and eloquent Frankenstein's Monster. 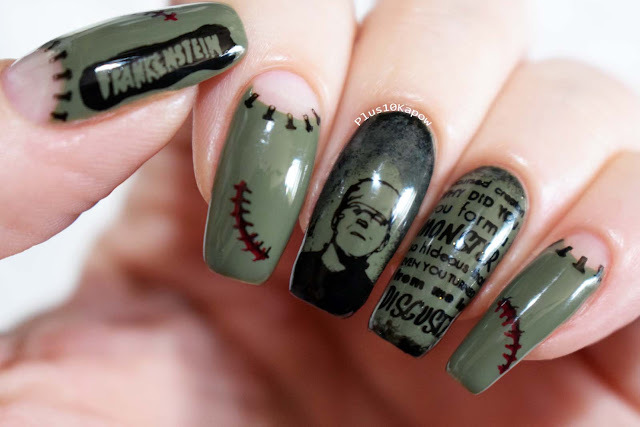 Then I sponged around the edges of both middle nails using Black Forest coming a little further down around Frankenstein's Monster's head. I topped this all off with Barry M Plumpy topcoat. 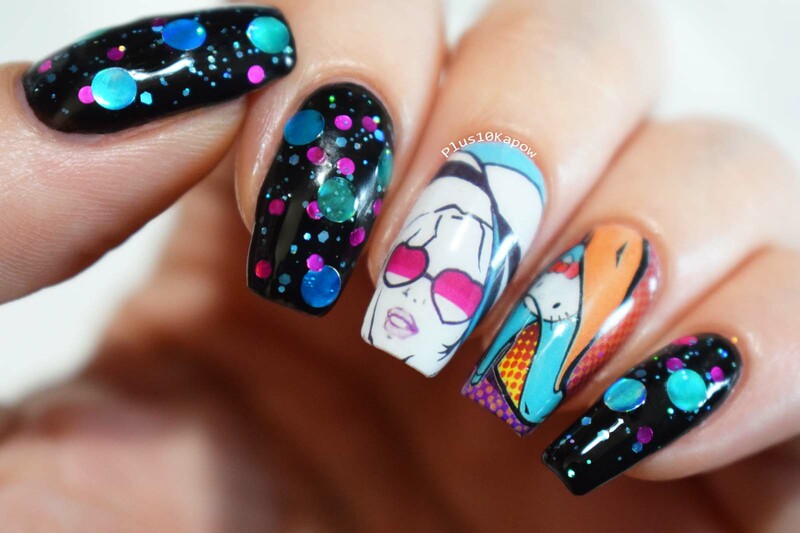 I have never done a negative space, half moon mani before and I am not sure if it suits me but I really love how these turned out. 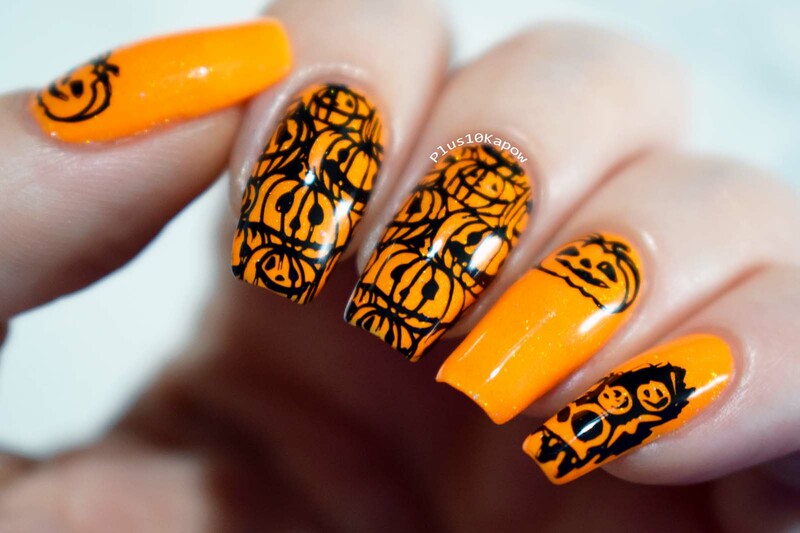 I have been knocking out some of my favourite Halloween mani's this week. 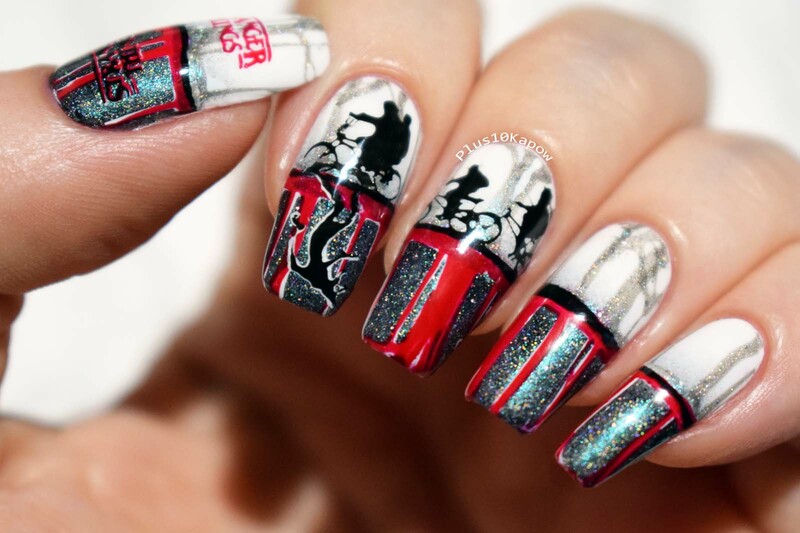 I have one more Barry M only Halloween nail art coming tomorrow, but don't worry, that will not be the end of the Halloween nails. I very nearly didn't do this look because the gold in the gorge Barry M Pink Luxe was showing through a little too much for this brainy look, but, luckily I had a little brain fart (don't worry, it happens sometimes, but it tends to be very few and far between) and tried a coat of Pink Luxe over Barry M Cotton and it really made the pink stand out, thus making it perfect for this look. I double stamped the images, first in Blood Orange and then Black Forest to give it a kind of anaglyph look, then I topped it off with Barry M Plumpy topcoat. 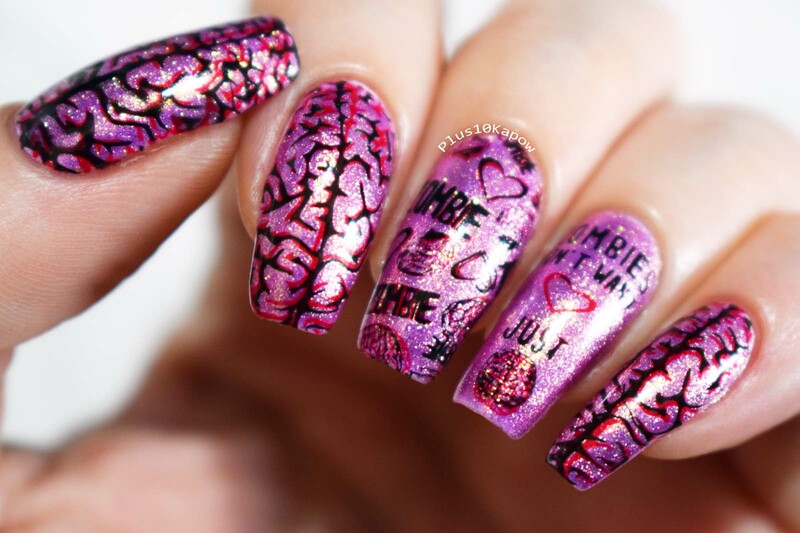 I kind of love the fact that my nails are basically sparkly brain matter! 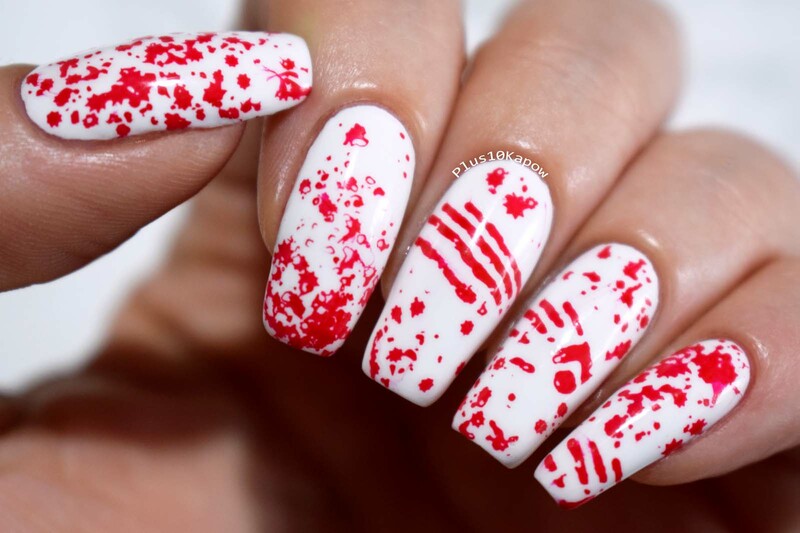 More Halloween nails to come, so keep your eyes peeled, although not literally becaused that's just a little too gory for me! In The Red of Night! As soon as I saw Black Cherry, Blood Orange and Passion Fruit from Barry M together, I knew that they would be perfect for a vampiric gradient and I bought these little fangs from Charlie's Nail Art specifically for this mani. Over a coat of Cotton, I sponged on Black Cherry Blood Orange, Passion Fruit and Cotton to get the perfect gradient. 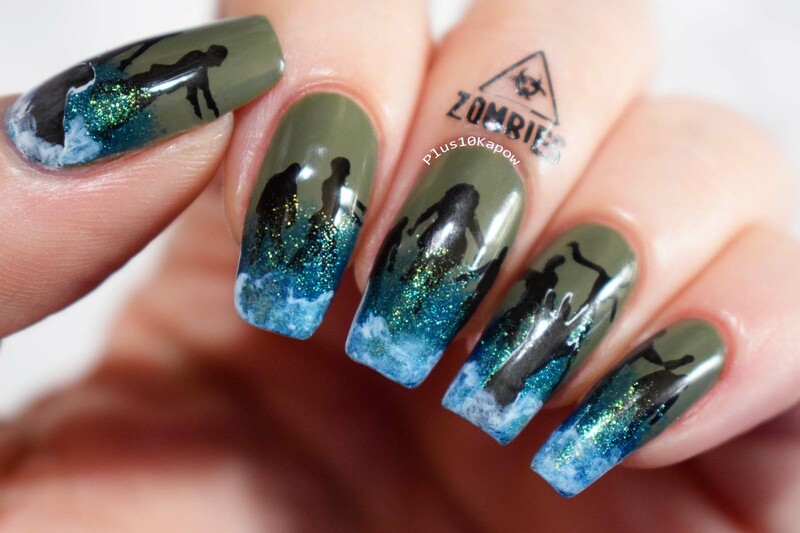 Ok, so not the perfect gradient but it looks awesome! The colours are perfect for each other. I then stamped using Barry M Black Forest and I filled in the coffin with Barry M Antique Gold. I filled in the adorable little vampire using Barry M Celestial Silver. I feel like this is a look that maybe Viago from What We Do In The Shadows might wear and it would be amazing! I then topped it all with Barry M Plumpy topcoat. All the Barry M polishes are available to buy through the Barry M website. 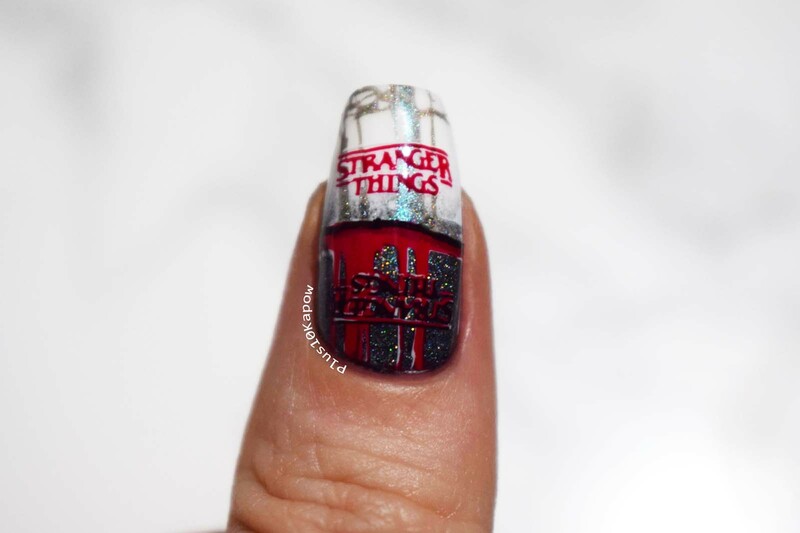 So something awesome happened recently, Barry M sent an email asking if I would like to collaborate with them on some Halloween nail art, which will be up on here at various times this week, but Senpai noticed me!!! Obviously I said yes! Then I completely lost it and maybe even cried! Anyway, that leads me on to these polishes. They sent me some polishes to do the nail art with and when I first glanced at these 4 Gellys I thought they were the new A/W 18 Gelly releases *face palm* they are actually from 4 different releases from years past. But, that doesn't change how grateful I am to be sent these polishes, they are all beautiful and they are new to my collection, and they are definitely worthy of a swatch. So lets move on from this and pretend it never happened! Photos show 2 coats with no topcoat. 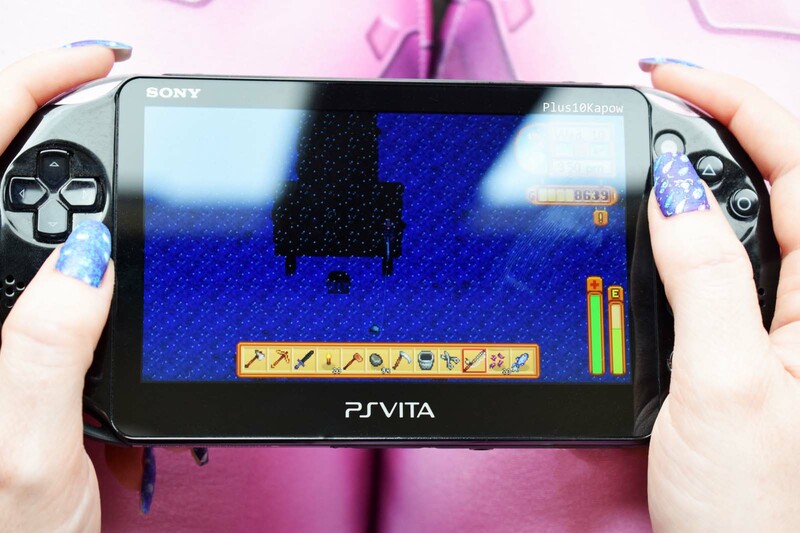 Who else adores the game Stardew Valley? I finally bought it during the Summer and I played it non-stop for weeks. I have dwindled off a little bit now because I have been really busy but I will definitely be getting back to it soon. It's such a fun little game that anyone can enjoy it and I love the graphics. 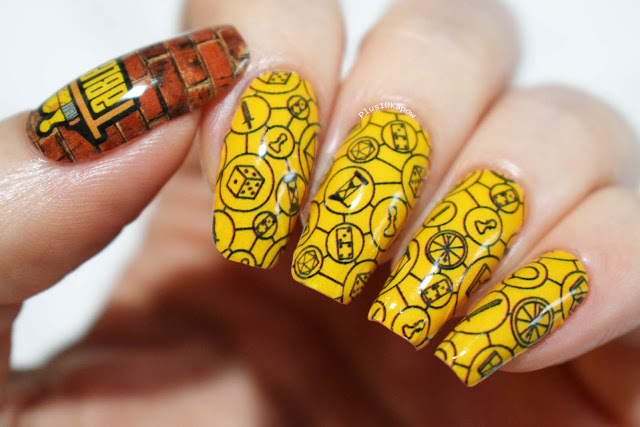 Did you know that Espionage Cosmetics do Stardew Valley nail wraps? 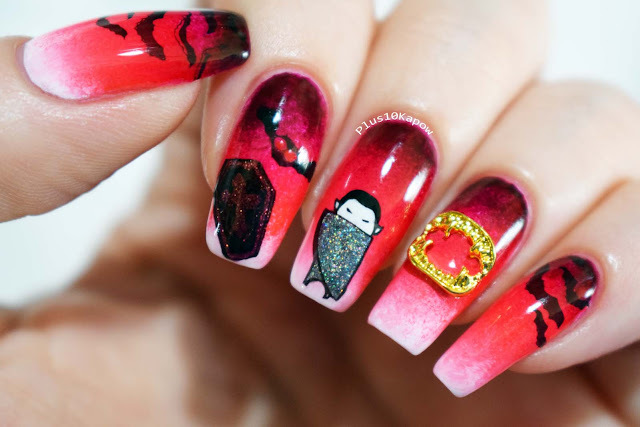 Back to the Halloween mani's today and I have 2 nail art looks to show you using the Beauty Big Bang XL-019 plate. First up is the look above. I did this look using the top right image from the plate and a bit of reverse stamping. 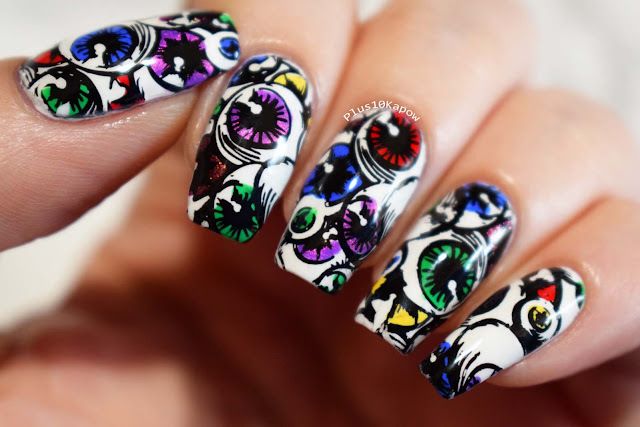 I used Barry M Cotton as my base, then I used Moyou Black Knight for the stamp and grabbing a variety of polishes that were sat on my desk I painted the colours of the eyes. I applied this to the nail and and topped with a coat of Seche Vite. 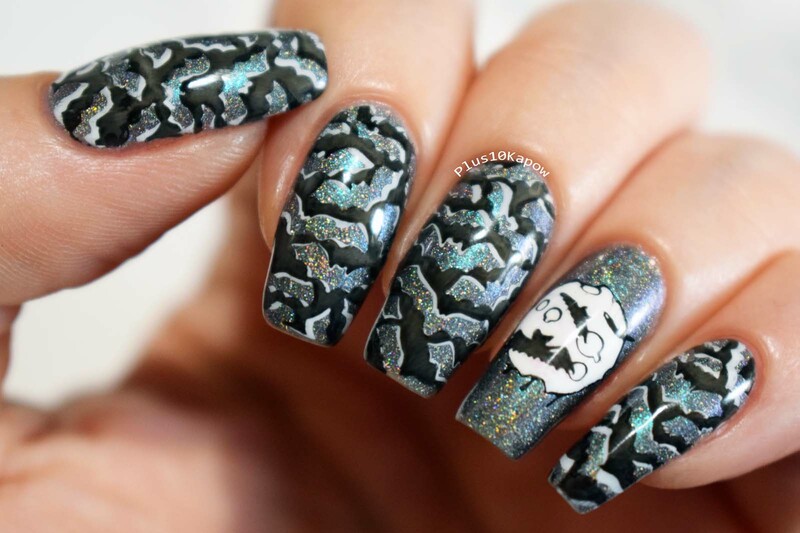 The plate has 7 full nail images, 14 small images and one large image of a spooky tree. 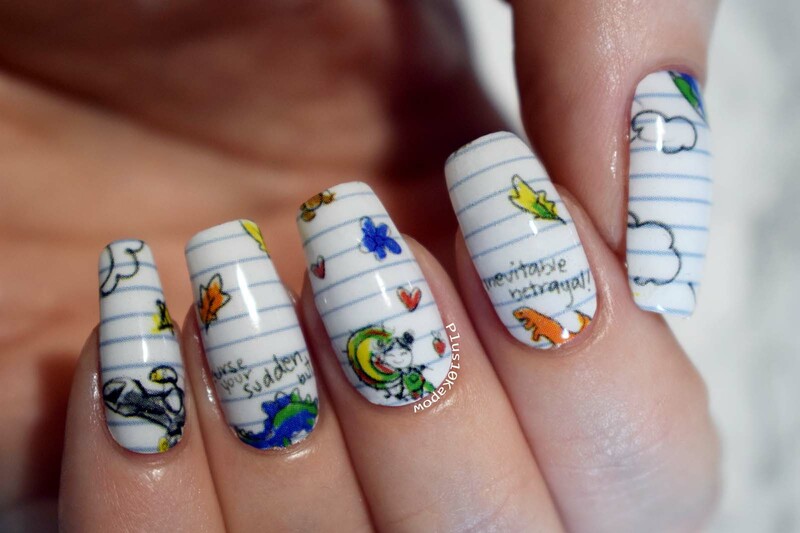 A lot of the images are fantastic for both regular and reverse stamping. The etching is perfect and I had great pickup on all images. There were no imperfections on my plate. The second look I did, I went down the regular stamping road and used a couple of pumpkin images. I really wanted this look to be bright and glittery, so I grabbed Danglefoot Nail Polish Spike the Punch, a neon orange with holo and flakies and added a coat off KBShimmer You Dew You to give it a little bit extra sparkle. I stamped using Moyou Black Knight and topped with a coat of Seche Vite. 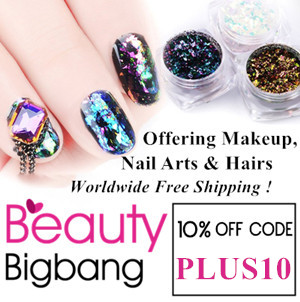 You can grab this plate here for £2.75/$3.59 and you can use code PLUS10 to save 10% on your Beauty Big Bang order. The Atari 2600 (originally known as the Atari Video Computer System until the 5200 came out in 1982) came out 41 years ago today. It was the system that popularised ROM cartridges, instead of only being able to play games that were built in. The joysticks from the Atari 2600 are one of my favourite controllers and I think it has become pretty iconic when you think of controllers past. 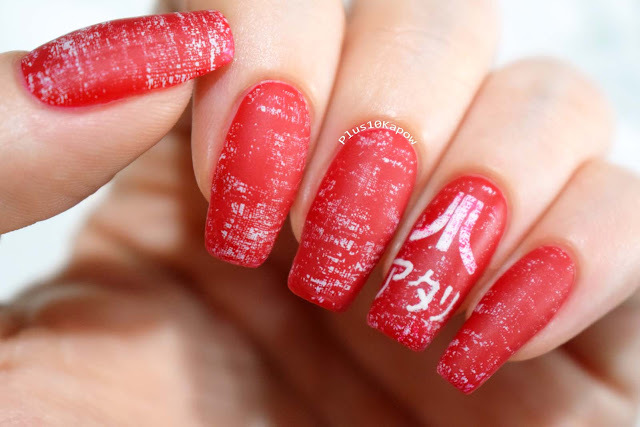 I was swatching this perfect red (swatch photos coming in a few days) and knew I had to do these Atari nails inspired by this awesome bag from Merchoid, that both me and Jim would love to own at some point. Also really want this Atari 2600 hoodie! I freehanded the logo and the lettering using a detail brush I bought ages ago from Born Pretty Store and immediately forgot I owned but it did make doing tiny letters a little easier. My Japanese lettering isn't perfect but hopefully it's not so terrible that the letters mean something different. Kian went back to school in the middle of this week, which meant that this week has been a hectic rush to make sure everything was ready and to try to get him seamlessly back into school. I have been saving these Serene Sketch wraps for this week because they have kind of a back2school vibe to them and the sketches are adorable. 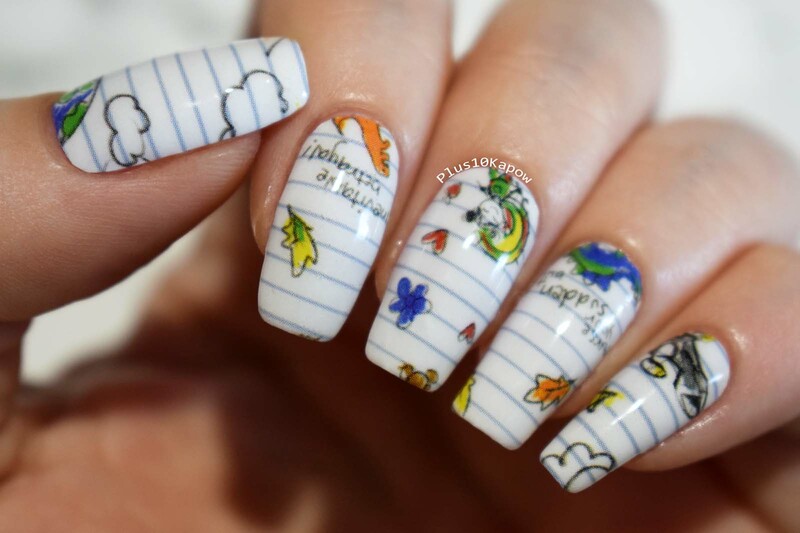 Plus, knowing this week would be busy I know I wouldn't need to long to apply these and still have cute nails for the week. 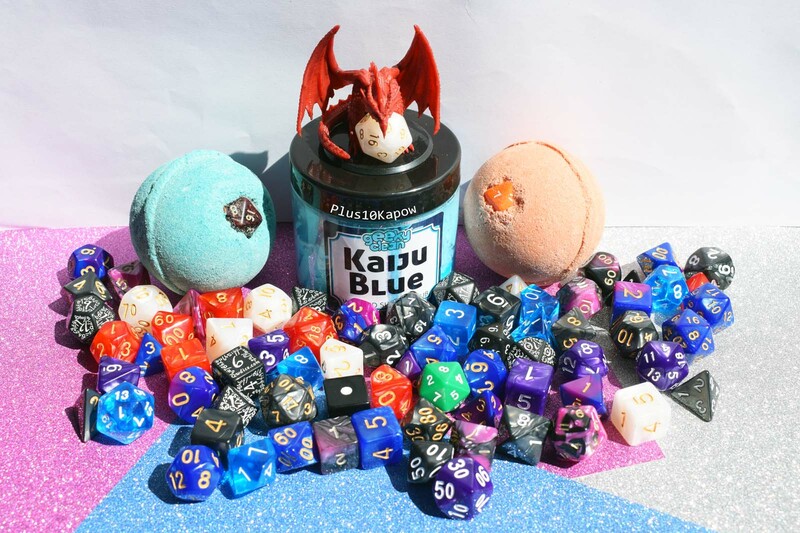 This wrap set is glossy and has vibrant colours and features cute little drawings of Kaylee, Mal and Jayne, along with Wash's dinosaurs, Serenity and Earth. The one gripe I have about them is that there is no adorable doodle of Zoe! 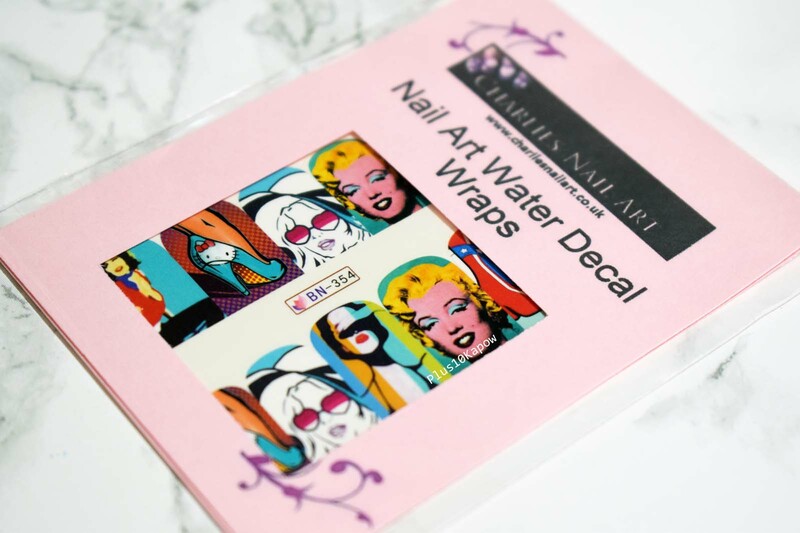 These wraps are available to buy here and are currently on sale, so go grab them at a bargain price while you can. Use code PLUS10KAPOW to save 15% off an order of $25 or more. 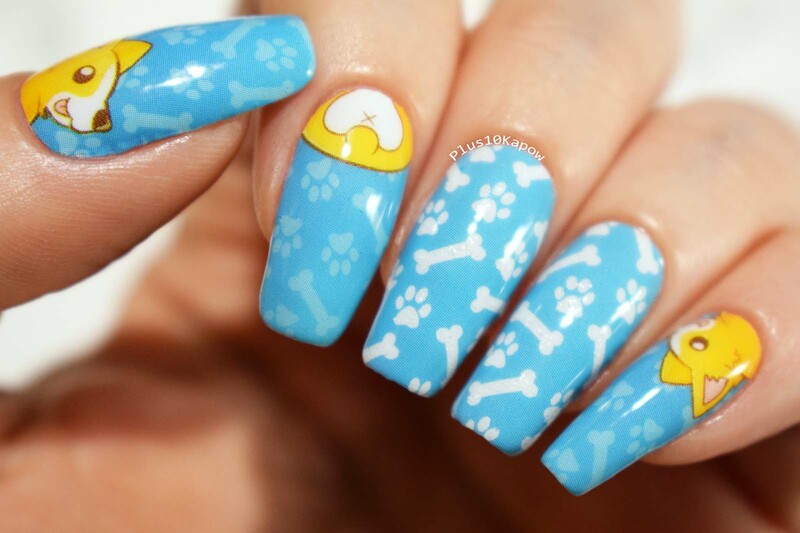 How fun did this mani turn out? I love the Hello Kitty heels from this pack of water decals from Charlie's Nail Art and wanted a glitter that kind of worked with the colours in the decals but didn't outshine it too much and I knew Nail Lacquer UK Choose One would be perfect. Fun fact: Nail Lacquer UK Choose the One was my very first indie nail polish purchase way back in 2013 and the polish is still absolutely perfect. 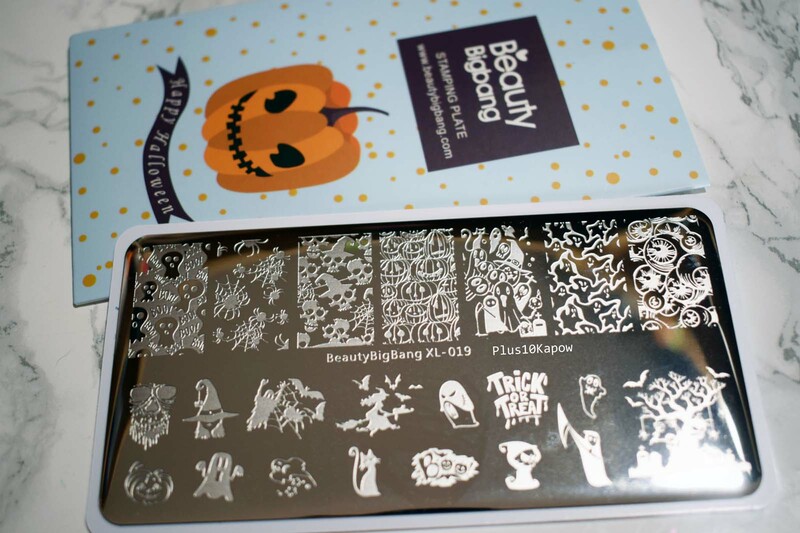 Anyway, you can find this decal set here for 89p and don't forget to check out all the awesome Halloween stuff that is available on there. 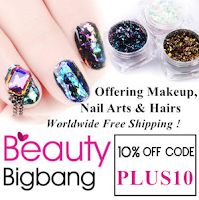 Use code CLPK10 to save 10% on your order! I've got another beaut of a stamping polish from Born Pretty Store to show you today. 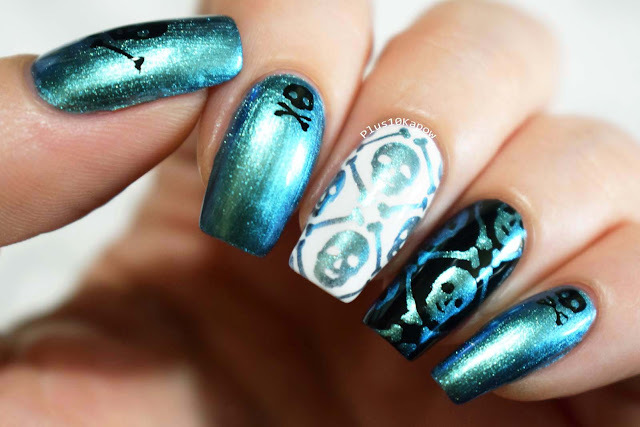 This is Moonlit from the chameleon pearl stamping polish range. This beauty shifts between blue, teal and green and even has a flash of purple every now and then. I did find it a little difficult to capture all the shifts but believe me, they are there. Obviously the nail art had to be Halloween, I've caught the bug now and you can expect there to be quite a few between now and Halloween. The images are from Born Pretty BP-L057 stamping plate from last year. Moonlit is black based so it is looks great when worn as a regular polish too and is perfect in 2 coats. It didn't stain and was easy to clean up and remove. When stamping the pickup is fantastic, and it doesn't bleed or smear when adding topcoat. I really love how it looks stamped over a base of white. 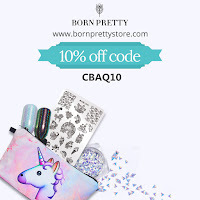 You can grab this or any of the 7 other polishes from this range here for £4.53/$5.99 and don't forget that you can save 10% on all non sale items in your Born Pretty order by using code CBAQ10.